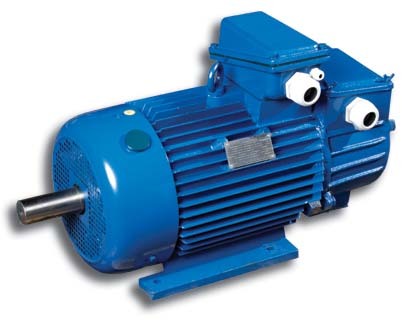 These series of three phase metallurgical industrial and crane motors, with wound or squirrel cage rotor are specially designed to drive metallurgical industrial cranes and other similar machines, it has excellent overload capability and high mechanical strength. Therefore, it is well suited for short duty cycle, or intermittent periodic duty, and on equipments with frequent starting and braking or are subject to vibration and shock. The standard range of power output and mounting dimensions complies with the recommended standard of (IEC 72). The motor can be operated well up to altitude of 1,000m. There are two classes of insulation, F and H. Class F is applicable to temperature condition not exceeding 400C. Class H is suitable for metallurgical industrial sites where ambient temperature is below 600C. Both have the same technical data. The motors possess a better enclosure, with protection standard of IP44 for normal site condition, and IP55 for metallurgical industrial condition. Motor’s rated voltage and frequency is 380V/50Hz.